YOGA is known for its relaxing-and-centering qualities. Beaches are hailed as a place to escape and rejuvenate. 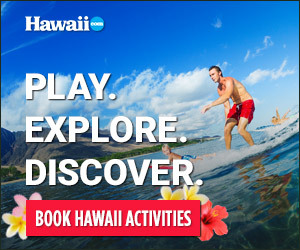 Hawai‘i is a destination renowned for its luxury and leisure. Why not combine all three for the ultimate tranquil getaway? If you want go the retreat route, visit YOGA HALE (yogahale.com), located minutes from White Sand Beach near Kona. Or, for classes and workshops held daily, visit BIG ISLAND YOGA CENTER (bigislandyoga.com). Held in a plantation home in the cool upland town of Kealakekua, just south of Kailua-Kona, these classes are very popular with travelers. Beyond these options, many RESORTS AND SPAS OFFER YOGA CLASSES of their own (for example, HILTON WAIKOLOA’S fitness center offers complimentary classes to its guests), so contact your concierge for more options.